To provide you with a richer visual and audio experience, the device will display lights and make sounds. 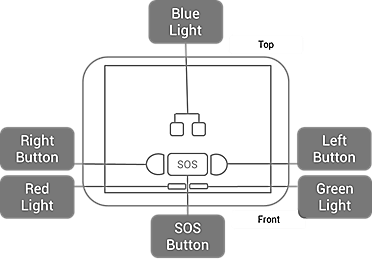 The picture below shows where all the buttons and lights are located on the device and the table below shows what causes these lights and sounds to occur. * For silent mode setting, please see Device Beep Settings on page 15.